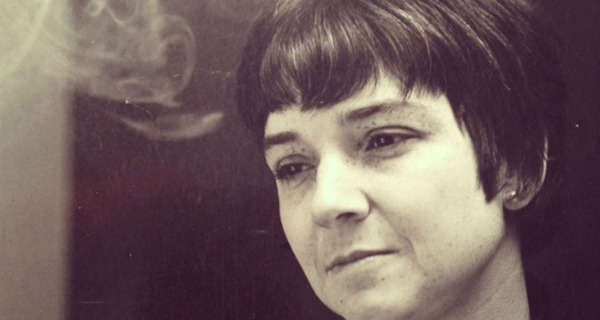 Finding the works of Adrienne Rich in used bookstores across Denver. I am fifteen. This one still carries a bookmark from Kilgore, this one underlined in a stranger’s hand. I devour them. Eating one page after another: in passing periods at school, a page with dinner, a page with dessert. Even with the words inside me, I didn’t then know what they meant. But they were digesting. At the same time, I joined the Young Authors Collective at Lighthouse (then known as Teen Council), after participating in the youth summer camp since sixth grade. My writing passes through the same seasons as the writing of my peers. We are opening to one another. When I graduated from YAC, I went to Oregon for four years of university. Both the works of Adrienne and the anthologies from the collective at Lighthouse came with me. Throughout my time there, other things took precedence in my psyche, largely the turn from writing as my primary form of creative expression towards visual art-making. Both forms allowed me to handle image and image production through conceptual lenses. Reading always greatly informed both my writing and my art-making. Even in my exploration into the art world, I never strayed too far from writing. I ran the university literary journal for three of my four years there. Adrienne came back to me my final year of university. It was with a greater weight. The words I had begun reading six years earlier hardened and clarified into real meaning. Seeing my own queerness, which had been obscured from me for so long, and my experiences as a woman-presenting person in academia mirrored back at me with such accuracy, was transformative. Her work became the driving force behind my art thesis, which explored the ways we acquire knowledge as well as my personally fraught relationship with reading. And with that I graduated and moved back to Denver. Graduating from university has been a time of great instability for me. Not knowing what exactly to do with myself, or who to do it with, I found myself with a variety of odd part-time jobs. Over the summer, I wound up back at Lighthouse, interning to support the very same summer camp that I once attended. Watching young children being asked to challenge the line between truth and fiction, deconstruct what a narrative ‘should’ look like, and other similarly complex and difficult puzzles made me realize what a huge hand Lighthouse had in how I became who I am today. Currently, I work at Lighthouse as the newly hired full-time Administrative Specialist, which is such a gift. I have changed immensely since I first joined the Lighthouse community. Lighthouse not only allowed these changes, but also gave space for them to have voice and be nurtured. I am incredibly grateful to be able to continue to be an active part of the Lighthouse community, which is unlike anything else I have encountered. Editor's Note: Lit Counts is an essay series in which readers and writers from our community express why they believe in supporting and elevating literary arts—the mission of Lighthouse Writers Workshop. The series will countdown toward Colorado Gives Day on December 4, the annual statewide fund drive for nonprofits. For 2018, Lighthouse has set a goal of $90,000, to support the continued growth of our literary programs. If you believe in the mission of Lighthouse, consider scheduling your contribution today. Abigail Lahnert is an artist living and working in Denver invested in exploring value systems and intimacy. She uses reading as a divinatory tool that guides her work, both written and visual. Recently graduated from Willamette University, Abigail now works at Lighthouse as the Administrative Specialist.